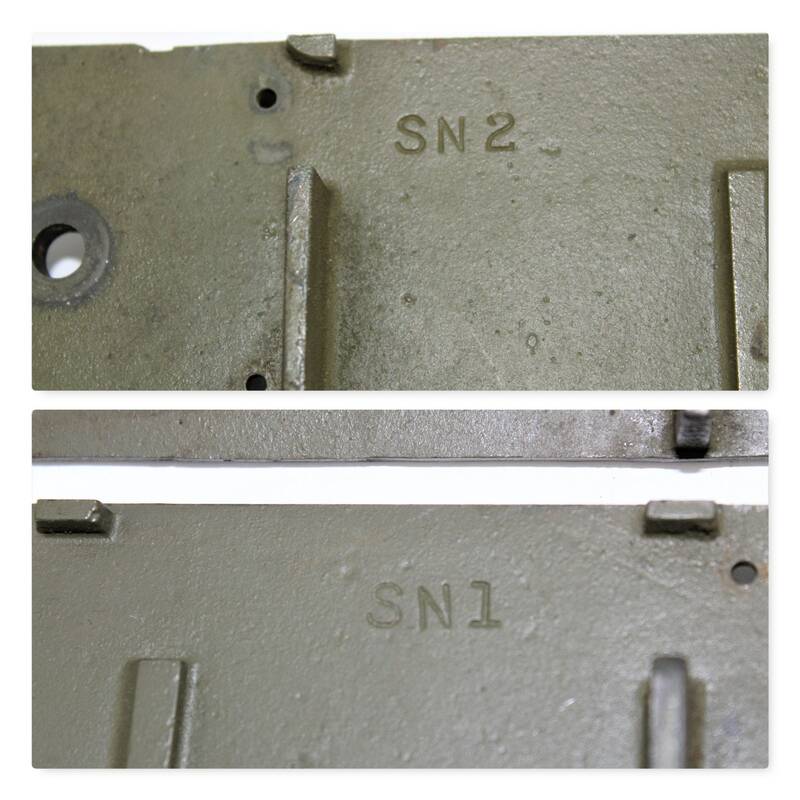 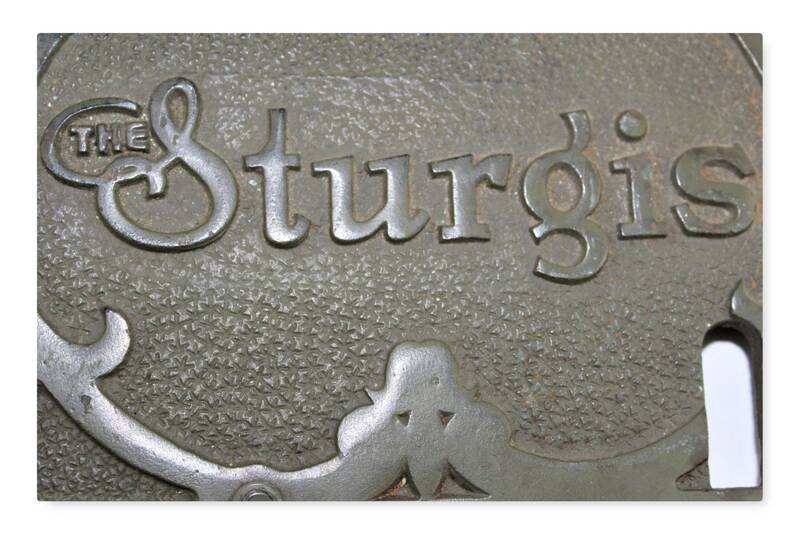 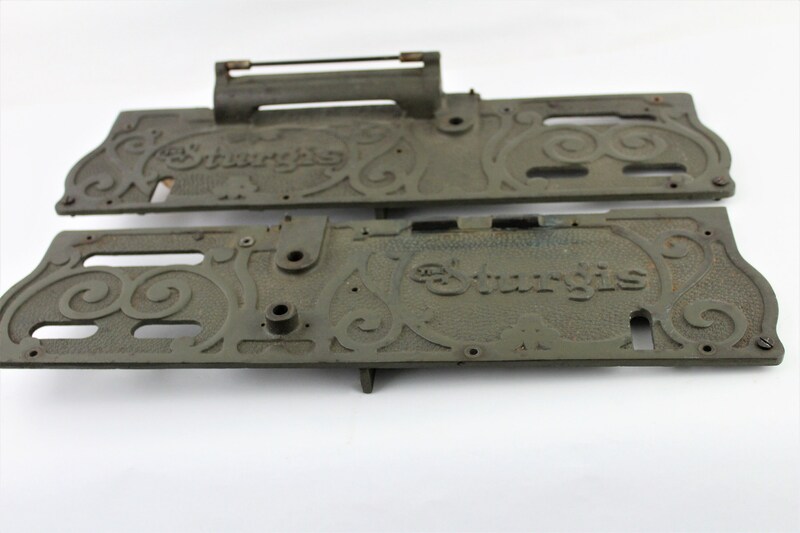 These wonderful name plates are from an antique Sturgis Autographic Receipt Writer machine. 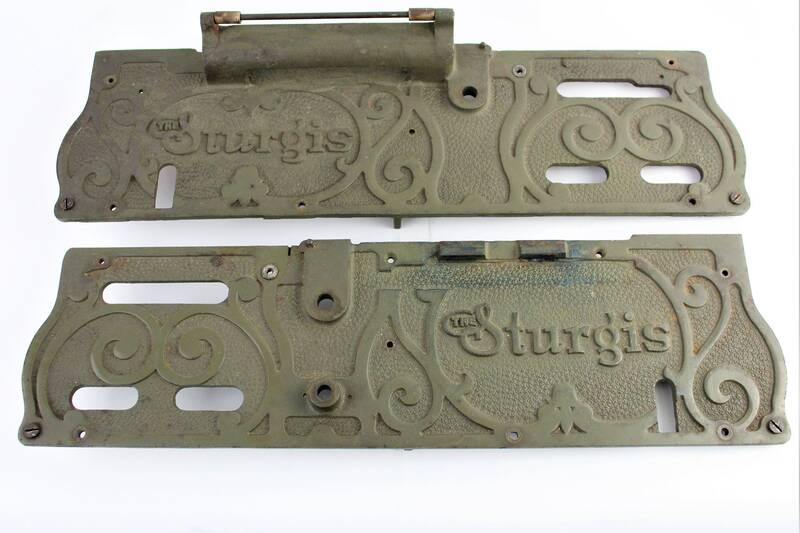 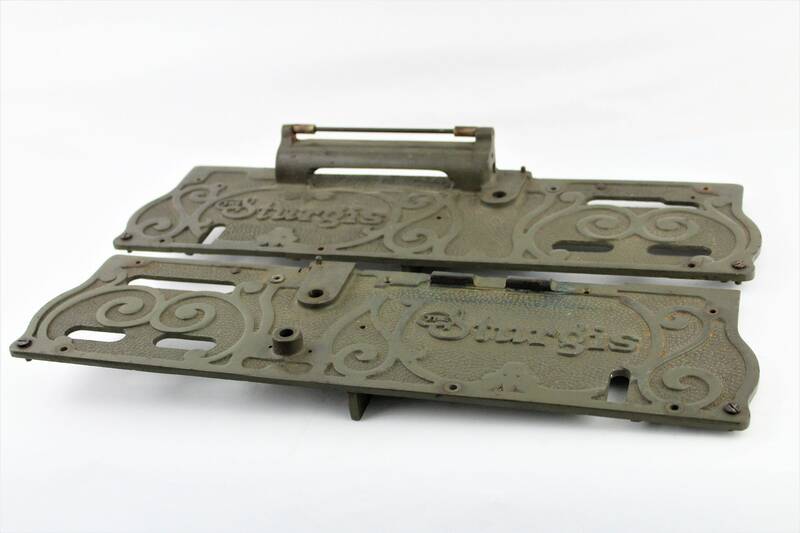 They are a weathered green color with great Victorian style graphics and made of cast iron. 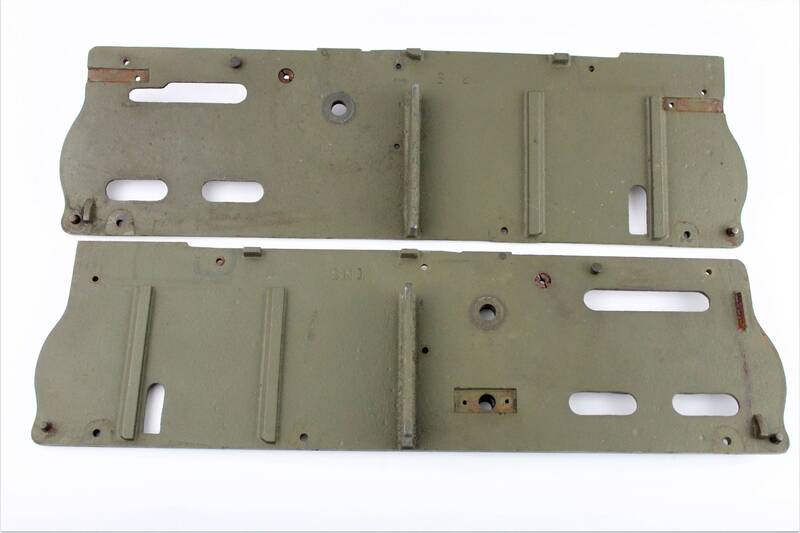 There is no visible damage to these at all they will make awesome display pieces or they maybe the parts you have been looking for. 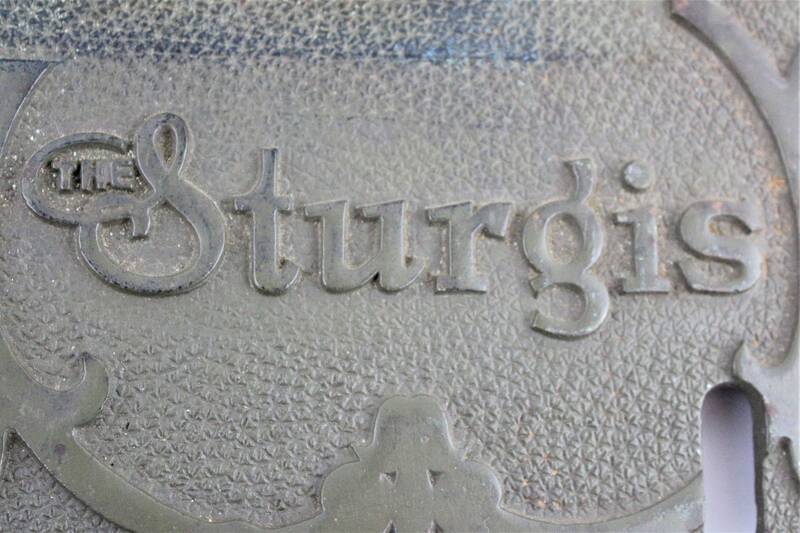 If you know someone that is a Sturgis Rally rider these are a one of a kind gift.